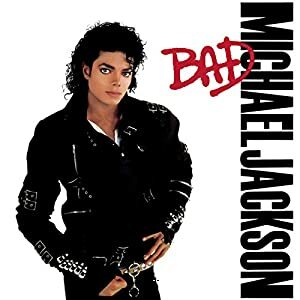 Smooth Criminal was one of the tunes on the very, very landmark Michael Jackson album Bad, in 1987. As was the style of the day, it received an extensive, expensive music video. Which was typical of Jackson’s distinctive themes and aesthetics. Height: 5’ 10” Weight: 150lbs. Smooth’s main power seems to be his ability to manipulate the emotions of large crowds of people. He can force them to focus on him, to be overcome with the urge to dance (and dance well), or to suffer the same grief he does. His ability to accurately sense the exact location of someone behind him may also be related to his empathic powers. The force of his personality is such that it can actually literally blow people and objects away. When dancing, he can cause himself to weigh about half of what he ought to. This allows him to achieve unusual angles. He can pass this effect on to anyone who dances alongside him. More mundanely, he is a superlative singer and dancer, and a good martial artist and gunfighter. He often incorporates dance moves into his fighting style. 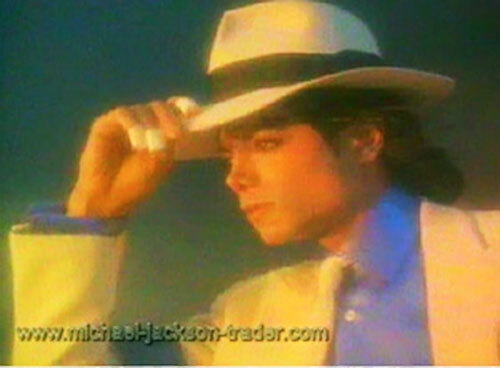 Rumor has it that the man known only as Smooth Criminal was once a fantastically talented young singer and dancer. He had landed a beautiful fiancée and had a wonderful future ahead of him. Alas, fate is cruel. One day the man who would be Smooth came home to find poor Annie lying in a pool of blood and broken glass. Falling to his knees, Smooth cried out in despair and horror. His powers erupted, shattering every breakable thing in the apartment and causing everyone in range to drop what they were doing and sob hysterically. When the dust cleared, the police had no answers. Half-mad with grief, Smooth took to the streets, searching the dark places of the world for the killers of his beloved. Due to his quick disappearance, and the odd circumstances surrounding Annie’s death, he has been declared a suspect in Annie’s murder. During his quest Smooth managed to run afoul of a child-kidnapping ring. One of its members is someone with serious connections, who sometimes sends dangerous thugs after him. During the only footage we have of his exploits we see him interrogating an entire sleazy nightclub about the whereabouts of Annie’s killers. He badgers and taunts some men into fights, steals from others, fends off physical attacks (even shooting one man and using his powers to blast him through a wall), and charms women. Ultimately he leads the entire club in a dance. However, a misfire with his Super Breath while dancing causes a skylight to shatter and makes him flash back to Annie’s death. His empathic powers infect everyone in the room with his anguish. However he manages to snap out of it and lead them once more. This lasts until jackbooted thugs (probably hired by the kidnappers) appear, kidnapping some children who had been watching him from outside. Fortunately Smooth manages to shoot his way out. 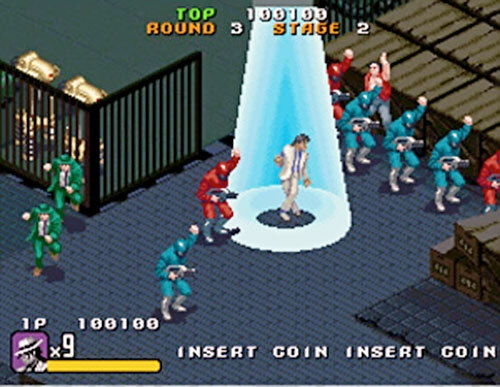 He escapes with the help of a few patrons, presumably to save the kids and continue his mission. At one point, a talented nine-year old boy alleges that he taught Smooth all his moves. But no one can say for sure whether or not this is true. Interestingly, many, many years in the future there is/will be a young space captain known only as EO . 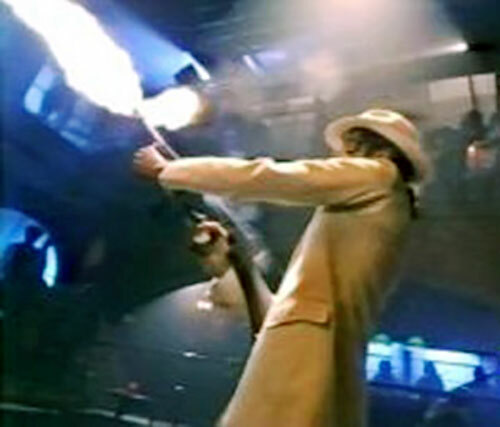 EO greatly resembles Smooth Criminal, and wields sound-based powers. Could it be that Smooth Criminal will one day overcome his grief and start a new life, or is it a case one of his interrogations by way of seduction bearing unexpected fruit? Might it be mere coincidence ? 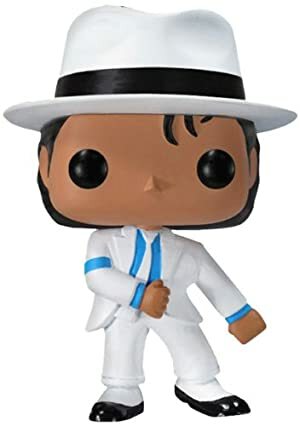 Smooth Criminal has had his appearance drastically altered via back-alley plastic surgery. This is presumably so that whomever killed Annie wouldn’t recognize him, and to throw off the police. Although his current appearance is slightly peculiar, women appear to find it extremely attractive. 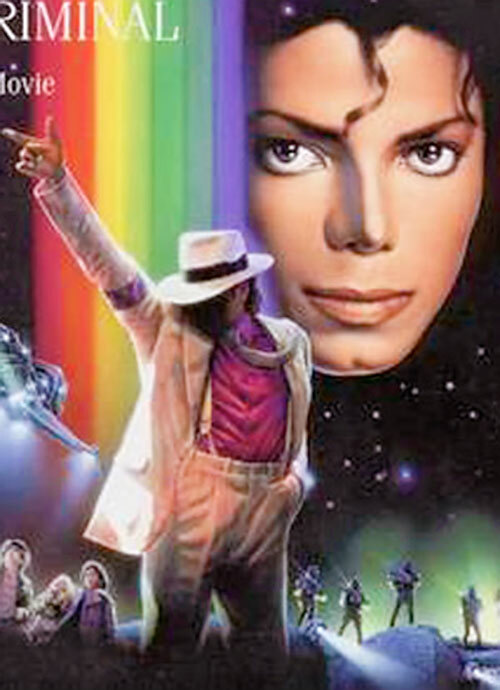 If he keeps changing his face, Smooth Criminal may well end up looking truly bizarre within the next ten years or so. 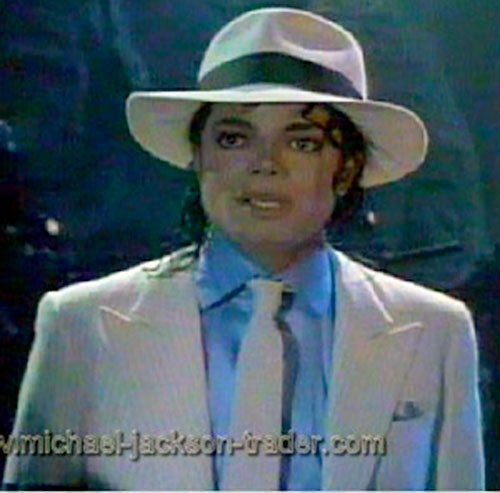 Smooth Criminal always dresses well, and favors white suits. Poor Smooth has fallen far. His desperate quest to find Annie’s killers has turned him into little more than a hyper, crazed thug. He busts into seedy places, forces everyone to focus on him, and interrogates, provokes or seduces everyone he comes across in his search for clues. He thinks nothing of beating criminals such as gamblers up and stealing their money. Indeed, this seems to be his main form of income. This behavior seems to be at least partially self-destructive thrill-seeking. However the only thing that serves to truly alleviate his pain even briefly is singing and dancing. Such is his power that he often drags every patron in the aforementioned clubs into dancing alongside him. When encountering broken glass, as he did during the video, Smooth is violently reminded of the scene of Annie’s death. He then tends to lash out at all visible targets using his Broadcast Empath power, which can lead to a whole room of people wailing in agony alongside him. Judging from the video, even the most hardened people who have been exposed to this power can become quite sympathetic toward him, having experienced a fraction of his grief for themselves. However jaded and frustrated he’s become, though, Smooth still has a soft spot for children and for women in trouble. He will do what he can to help and protect them. They like him a lot, as well. Not really a joiner, but he may have worked with Vibe or some other hip young hero. Dex: 07 Str: 06 Bod: 04 Motivation: Anti-Heroic Seeking Justice/Thrill/Psycho ? All Powers (even Gravity Decrease) are Contigent on Broadcast Empath. Broadcast Empath may only either generate intense suffering and grief or the desire to dance. Broadcast Empath has no Multi-Attack penalty. Enchantment has an Area of Effect. Gravity Decrease may only be used while dancing. 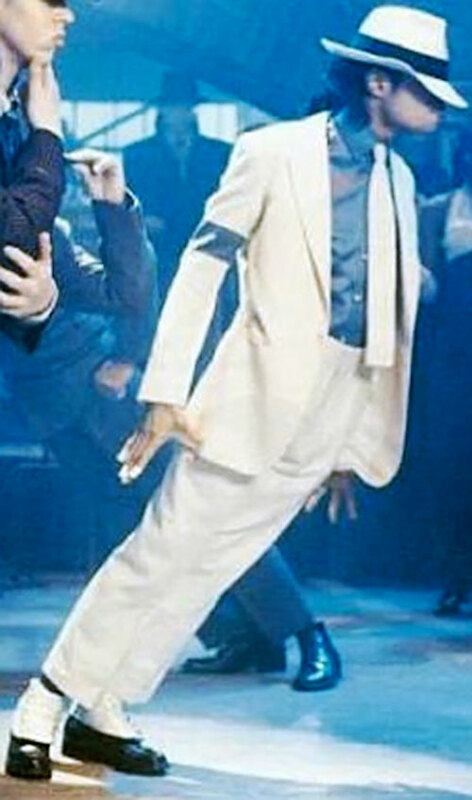 Gravity Decrease is Useable on Others, may be used on as many others as Smooth Criminal wishes, and does not diminish Smooth’s own APs of Gravity Decrease. 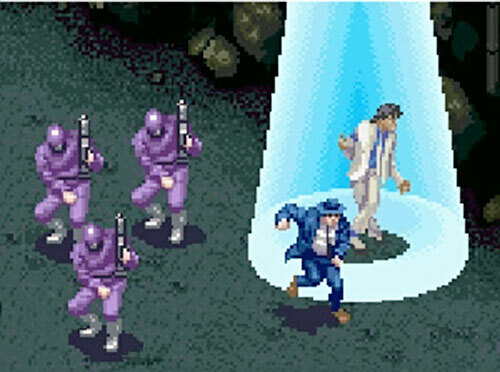 Super Breath is generated from Smooth Criminal’s hand rather than his mouth. Attractive, Iron Nerves, Local Hero (Children), Slowed Aging. Enemy (A child-kidnapping ring and their faceless jackbooted thugs), MIA (Dangerous, potentially self-destructive behavior), Mistrust, Traumatic Flashbacks (The sight of broken glass). .45 [BODY 04, Projectile weapons: 04, Ammo: 08, R#02]. If necessary, he tends to appropriate more powerful firearms (such as machine guns) from those who have been lulled into dancing with him, or those whom he has managed to convert into allies. 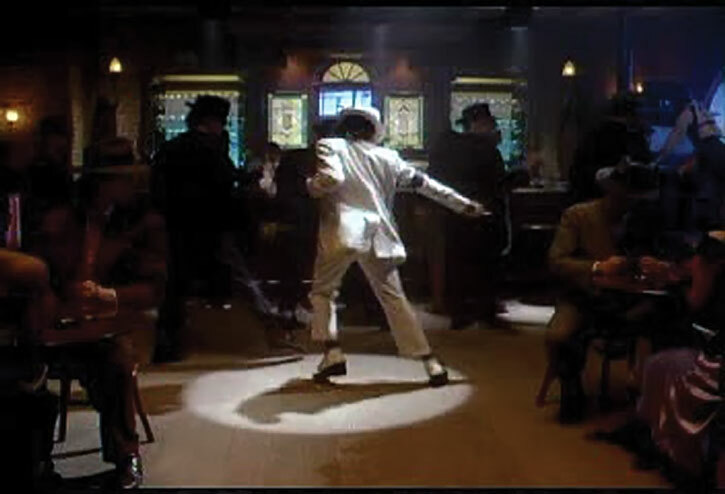 Source of Character: Michael Jackson’s Smooth Criminal song and video (1988).